Mango juice contains a number of valuable nutrients. The naturally fulfilling fruit beverage also acts as a beneficial dietary food item that aids in normal bodily functions and the prevention of health risks and disease. Like many other natural fruit drinks, mango juice, some times referred to as mango nectar, packs a variety of both vitamins and minerals. Each cup of mango juice adds a more than feasible source of both vitamins A and C to any diet. Without added sugars, pure mango nectar contains about 30 grams of sugar carbohydrates per cup. Although mangos contain moderate to high levels of carbohydrates, they cause little fluctuation in blood-sugar levels. This process lets the body maintain appetite and metabolic processes much easier. Plus, none of the calories found in mangos comes from fat, making the juice an easily digestible, energy providing drink. Mango juice also provides a good source of calcium and iron. Iron helps the body eliminate free radicals, while calcium assists with the formation of healthy teeth and bones. Consuming too much mango juice will lead to an excess amount of sugars within the body. Too much sugar will increase fat storage and lead to weight gain. However, some athletes benefit from loading up on complex and simple sugars before long-lasting events. Our customers can avail from us superior quality Mango Juice. Our mango juice are prepared from ripe and fresh Mangoes of Alphonso, Totapuri and Sendura varieties. Our mango juice is very much nutritious and rich in vitamins and other minerals. These mango juices offered by us natural drink and do not contain any artificial ingredients. Its hygienic packaging ensures that the drink retains its natural goodness and freshness. Our mango drink stands apart in taste and quality. 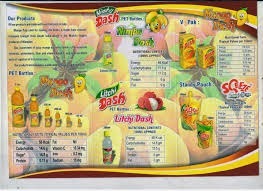 Mangodash Offer three varieties of Dash Mango Juice bottles. These bottles are manufactured from all food grade plastics. Our range of Dash Mango Juice bottles are known for their quality and look. We are Supplier & Manufacturer of Dash Mango Juice in Madhya Pradesh, Uttar Pradesh, Bombay, Rajasthan, Chhattisgarh, Maharashtra and Gujarat.